This is not a good dog. I repeat: This is not a good dog. This is a demon, sent from Hell in a pleasing form in order to accomplish its mission: controlling humans. If you brought Serenity into your house, you would end up doing its bidding, frantically scrambling to straighten its velvet sleeping pillow because SERENITY DEMANDS THAT THE SLEEPING PILLOW NOT BE ASKEW!!! This dog would eat all your fine meats. And then it would eat your soul. 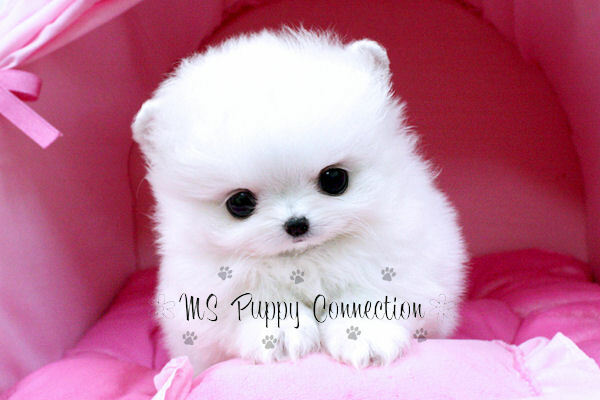 Either that or instead of a brain it just has more white, fluffy fur inside its head, as a result of its mother being snow-white Pomeranian and its father being a Beanie Baby. Oh God, I looked directly into its eyes!